This book about writing and the imagination is essential reading for any writer, emerging or experienced. Re-released with new material and updated advice for the 21st century writer. 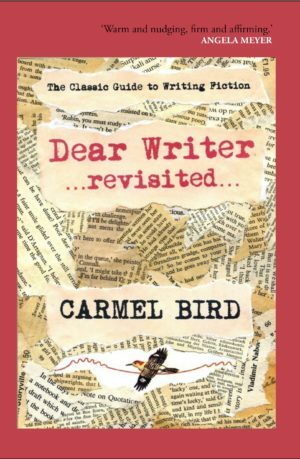 Carmel Bird is the 2016 winner of the Patrick White Literary Award. Carmel’s work spans forty years, and she has published thirty books. The most recent of her ten novels is Family Skeleton, and the most recent of her seven collections of stories is My Hearts Are Your Hearts. Carmel’s key work on memoir is Writing the Story of Your Life. Two of her anthologies, The Penguin Century of Australian Stories and The Stolen Children – Their Stories are also very popular. Carmel’s work is known for its lightness of touch, coupled with a seriousness of purpose, some of her concerns being the history of Australia’s First Peoples, reproductive technology, loss of species, lost children. Language, the construction of fiction, and book design are some of her key preoccupations.